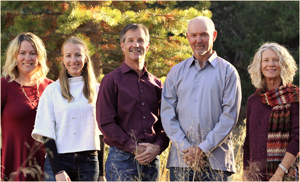 Home > Testimonials > Dennis & Judy D.
Thank you for all your help in finding and then purchasing our new home in Tahoe Donner. Trying to do this from 3000 miles away was frustrating until we met you. We would research the available homes online and then fly out to see them, only to be disappointed that they were either no longer available or not what we wanted. Then we met you at an open house and everything changed. Your proactive approach directed us to exactly what we were looking for even though it was above our price point, and then helped us negotiate with the seller to get it within our budget. Its’ been truly a pleasure working with your very professional team. We look forward to living in Tahoe Donner and having you as neighbors.